Okay ..I am again late on this one. In my defence, I can only say that I am working my (beep) off at work, attending weddings on weekends in a saree of course ..and still managing to stay connected to the blogging world..which in itself is a big feat ...at least for a month old blogger. 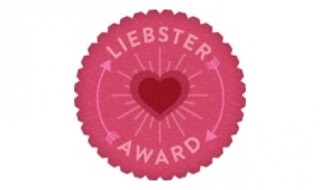 Last week, my beautiful fren Shivali of Travel With Me nominated me for my first award - The Liebster Award. Thanks so much sweetie. Jokes apart, here are my answers to Shivali's questions. A) My Fastrack Glares. We are inseperable. A) I love wedges...I always have. A) Heidi Klum...She is Super Classy. A) Mascara..gives ur eyes that much required pop. Thank you Aditi! This is so kind of you. U deserve much better girl...! Great answers and amazing questions. thnx shivali..my wardrobe is open, ready to welcome u. Thank you so much for nominating our blog! Really honored! Really interesting to learn more about you and your blog. Following you on GFC now. Ur Welcome..I pick Madhubala too. Thanks a Lot for the Nomination Aditi!Was fun reading your list...Looking forward to doing the post!